Sophomore goalie Jake Oettinger was named Hockey East’s Stop It Goalie of the Month after producing a 5-1-1 record in January, while recording a 1.98 GAA and a .926 save percentage. As a freshman, he was Goalie of the Month for October and went on to earn second team All-Hockey East and Hockey East All-Rookie honors. Freshman Brady Tkachuk was runner-up for Rookie of the Month and is currently tied for third among Terriers in scoring with 21 points. Terriers return to Hockey East action tomorrow with a visit to Amherst to take on the UMass Minutemen in a game that will air on NESN. The Boston Hockey Blog reports that injured sophomore defenseman Chad Krys has been ruled out of the game and that classmate Patrick Harper will be a game-time decision, according to Coach David Quinn. Krys suffered an upper-body injury last weekend against Arizona State, while Harper has missed the past six games due to illness. The fathers of three current Terrier skaters and the team manager were members of a squad that that took BU to a Hockey East championship and the NCAA championship game in 1991. 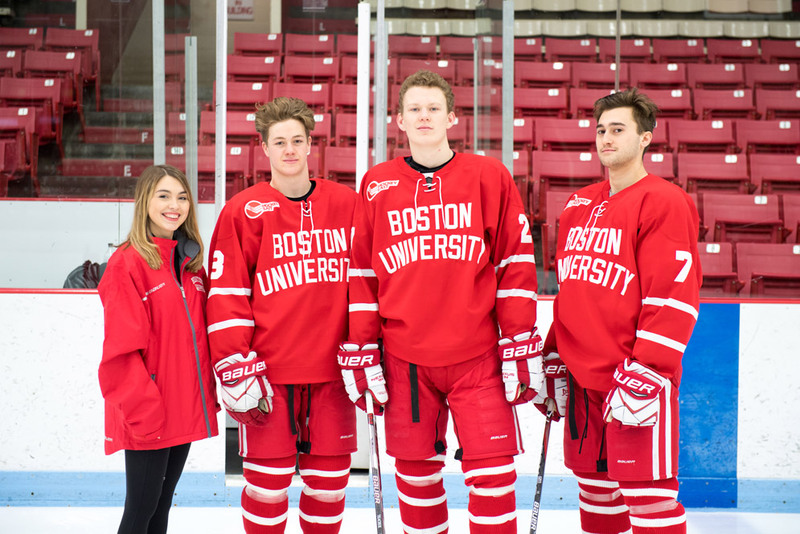 BU Today spoke with Krys (father was ’91 captain Mark Krys), Ty Amonte (Tony Amonte) and Tkachuk (Keith Tkachuk), along with Manager Ali McEachern (Sean McEachern). USCHO.com’s This Week In Hockey East looks at competition for the NCAA tournament and for opening round byes in the Hockey East tournament. 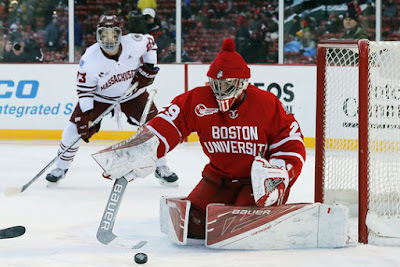 Jordan Greenway and former Terrier co-captain and Hobey Baker Award winner Matt Gilroy are featured in a USA Hockey teleconference about the upcoming Olympic Hockey Competition (Audio). Former Terrier skater and assistant coach Scott Young is an assistant for team USA and former BU assistant coach Ben Smith is the team’s Director of Player Personnel. Terrier Assistant Athletic Director for Communications Brian Kelley, who is serving as Media Relations Contact for the Men’s Olympic team, is already en route to PyeongChang. ►The BU Alumni Association has scheduled Beanpot Watch Parties in 15 cities across the nation. (Details). 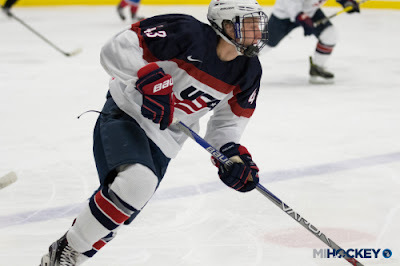 After a recent NTDP U18 game, SBNation’s Chris Dilks assessed the draft possibilities for team members including 2018 recruits Joel Farabee, Jake Wise, Tyler Weiss (photo) and Jack DeBoer. 2019 recruit Robert Mastrosimone had a four-point effort (1G, 3A) in the Chicago Steel’s win against Cedar Rapids last weekend. Let's all take a moment to appreciate this one-handed goal by #WeAreSteel forward Robert Mastrosimone (@rmastro9424). Senior Victoria Bach has been named Hockey East’s Co-Player of the Month for January after scoring nine goals and adding five assists in six games. She also established new BU career records for points (185) and goals (97).